Note To Mets Management – Don’t Do This! A couple of weeks ago, I noticed September 24th on my calendar. The Mets and Pirates at Citi Field with possible playoff implications for both teams. Here at PBI we were positively giddy at the prospect of these two teams actually playing a meaningful late-September series. The Mets went into the All Star Break with a record of 46-40, sitting just a half-game out of the Wild Card. At 48-37, the Pirates were in 1st place in the National League Central Division and had won 8 out of 10 games. Since the All Star Break, the Pirates have stumbled a bit, and the Cincinnati Reds have gone on a ridiculous tear to pull ahead in the division. But make no mistake, the Pirates are hanging tough at 16 games over .500. The Mets on the other hand have won just 5 of their last 19 games and have dropped nearly 10 games off the Wild Card pace. If you listen closely, you can hear the murmuring from a certain segment of Mets fans – fire Terry Collins and bring in the fiery Wally Backman from their AAA farm club to throw a few buckets of baseballs around and shake things up. And that is precisely what the Mets DON’T want to do. And if you need a reason why, look no further than the aforementioned Pittsburgh Pirates. Last summer, their 1st under manager (and PBI Major League advisor) Clint Hurdle, the Pirates were one of the big surprises of the National League. With a core of good young players they were winning and putting fans back into the seats. Though they ultimately ran out of gas as the 162-game season wore on, the general mood among the players was that 2011 had brought about a change in Pirates baseball. So as the Pirates head into August still in contention, they’ve talked about how much they learned last year and how they’re using that experience to maintain a level of consistency in 2012. The Mets would do well to follow the same course of action. The 2012 Mets of the 1st half were exciting, they were winning games they would have lost a year or two ago, and the fans were starting to get excited again. 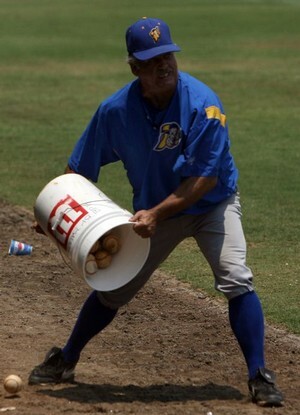 Firing Terry Collins now, just to bring in the supposedly fiery Wally Backman would be a huge mistake. Like the 2012 Pirates who are using the lessons learned from the 2011 season to stay in contention, I think the 2013 Mets will be best served by keeping Terry Collins and learning from the mistakes of the 2012 second half. There’s a reason the Major League Baseball season is 162 games long. The Pirates learned it last year; the Mets are learning it this year.